Vintage 1974 Bertone Maserati Quattroporte II Press Release. 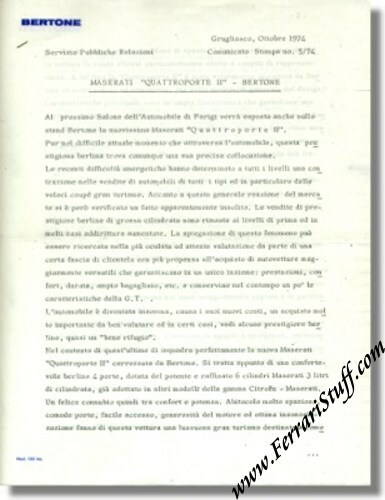 This is a 1974 press release, issued by Bertone regarding their proposal for the Maserati Quattro Porte II. 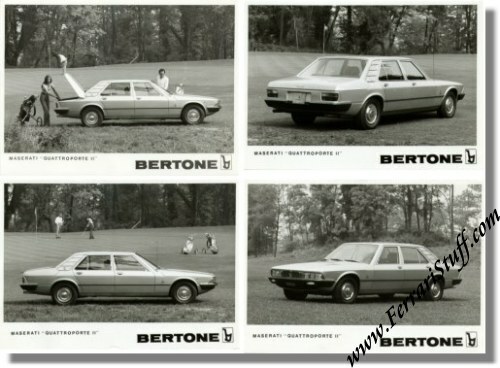 The set consists of 3 pages with typed text in Italian and 4 B&W press photos of the car. The car never made it into serial production. The set is in excellent condition.